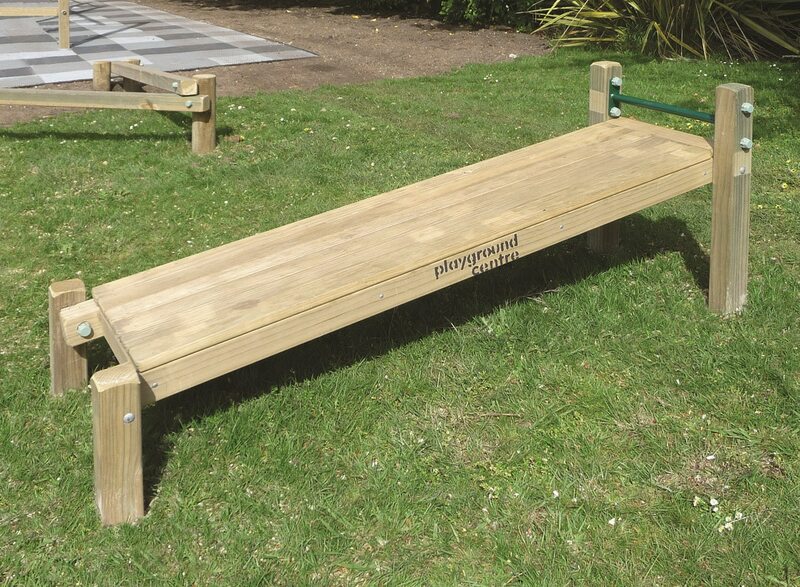 Go for a 30 minute jog or walk and finish up with some abdominal exercises on the Sit-Up Bench Fitness Station. There are recommended exercises for all ages and fitness levels. Repeat two or three times a week and become fitter in no time! Take your kids to the playground and have a work out session while they play – make sure you can keep an eye on them. You can try stretching or resistance exercise using the items on hand – platforms, vertical poles for support and climbing equipment. If someone you trust is watching the kids, you could go a little bit further and maybe go for a short jog or walk to get the heart pumping. Set up a Rocky-esque training session at the Fitness Station: Put the volume up and give all you’ve got listening to “The Eye of the Tiger” – really unwinding! A few examples: you can work on your arms with Hanging Rings, your abs with Vertical Ladder, your balance on the Balance Beam or the Stepping Logs. Do a cardio workout on the Air Walker and eliminate a hot dog worth of calories! Grasp the handle bar and move foot pads back and forth in a striding motion – you can do short but intense sessions with recovery breaks. Work on your thighs and shoulders with the Horse Rider – this station is adapted for the whole family so everyone can use it. Sit on the seat and push with your feet while pulling with arms to raise and lower seat. This station is good for working on your shoulders as well as your thighs. When exercising, don’t forget to warm up beforehand and do a good stretch when you are done. This will help prevent injuries and sore muscles the day after, as well as shape lean muscles. If you’re unsure about your ability, seek medical advice prior to exercising or organise a qualified personal trainer to take you through the steps.